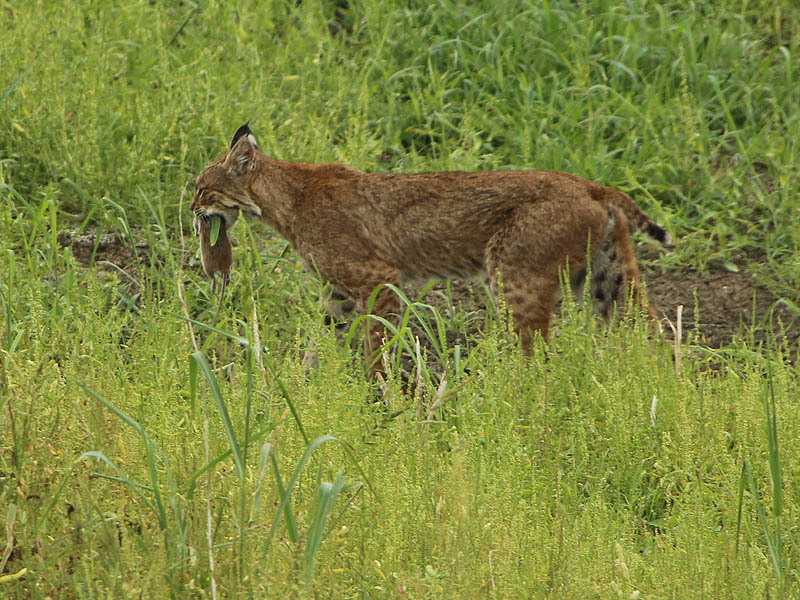 These Bobcats were observed at the Village Creek Drying Beds in Arlington, Texas. 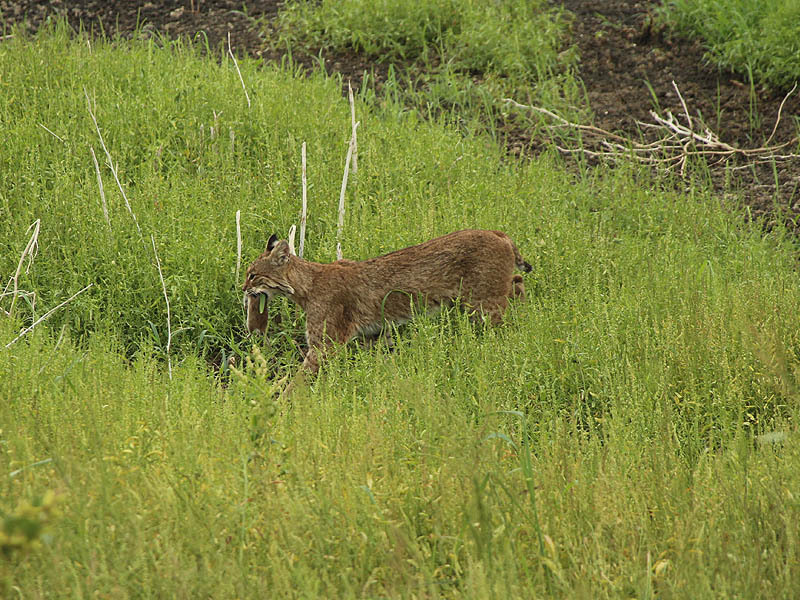 Strangely, I spotted the first one just minutes after photographing a Coyote in one of the drying beds. 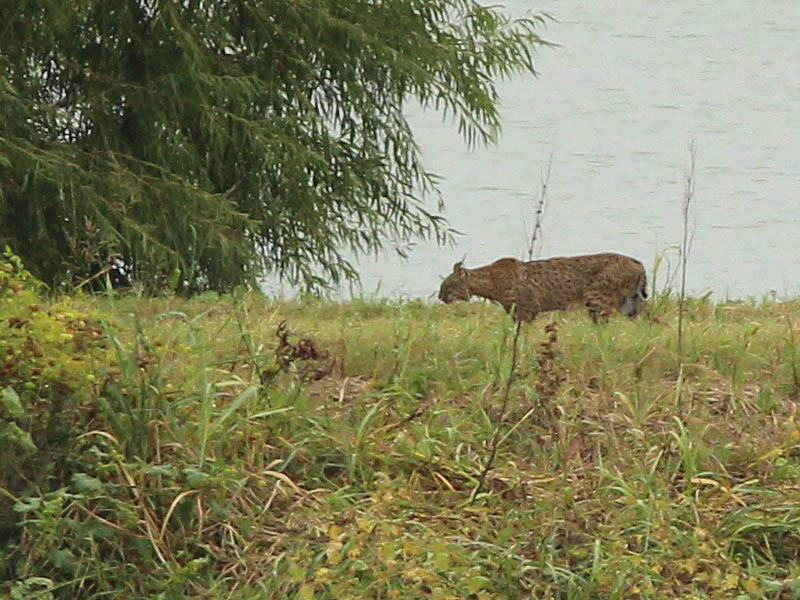 The Bobcat was following a dirt road near the east pumping station several hundred yards/meters from my position. 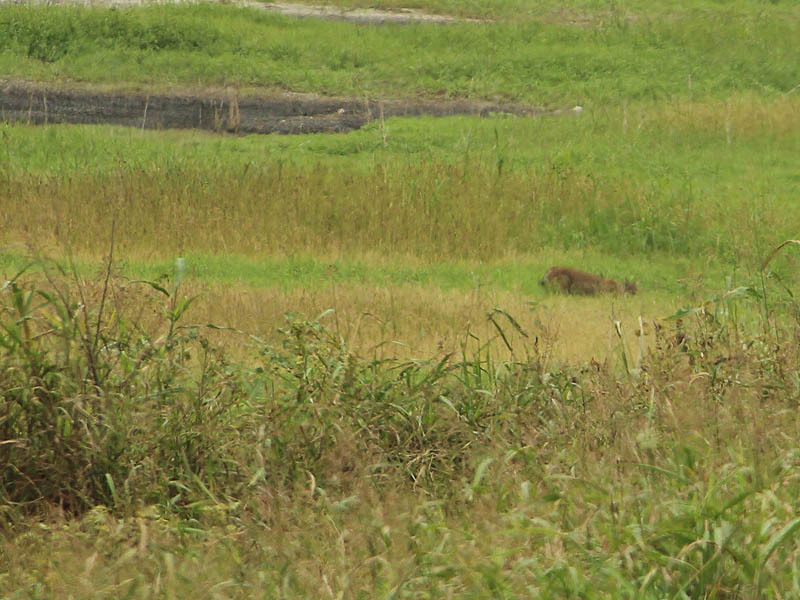 At this distance it was hard to tell for sure what kind of animal I was seeing. There was a white Ford SUV parked nearby, and at first I assumed he was a dog belonging to the owners of that vehicle. 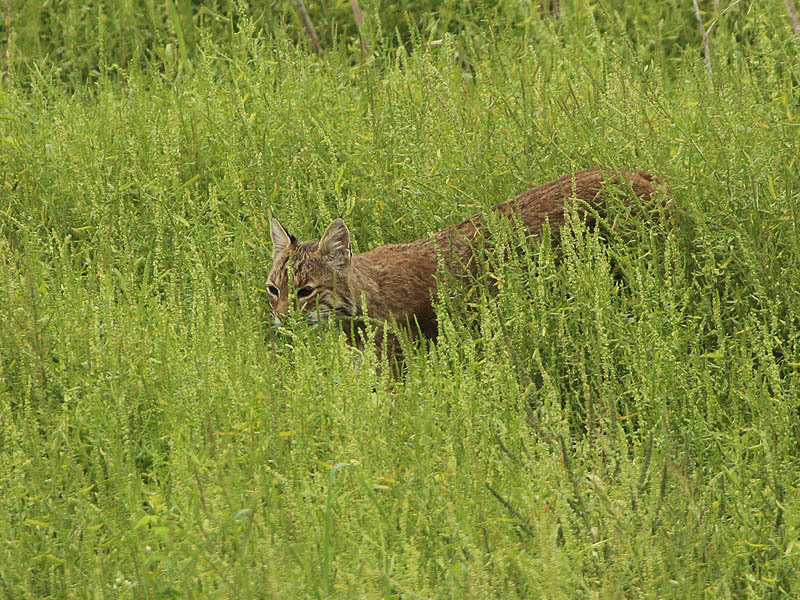 It wasn’t until I had a look through my telephoto lens that I was able to recognize that it was a Bobcat I was observing. 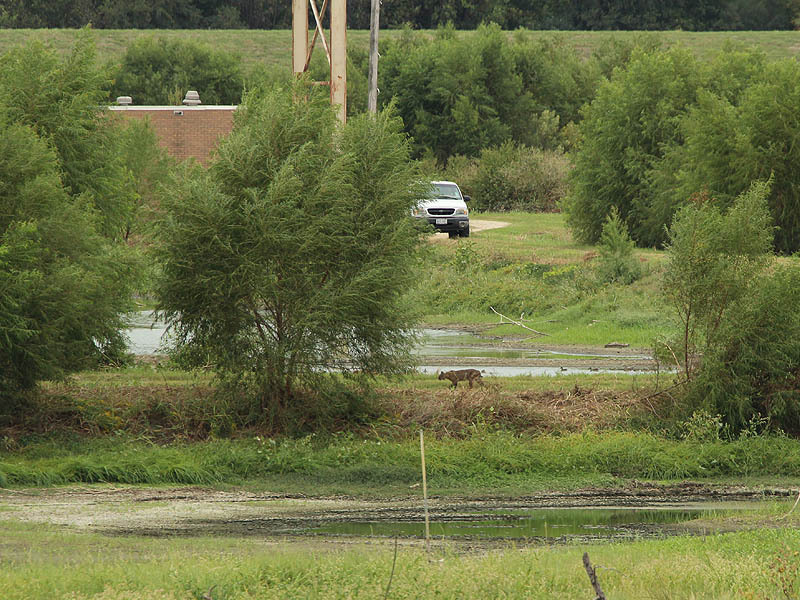 The cat continued down the road for the width of a drying bed, and only ditched into the grass because the white SUV had moved onto the road behind him. 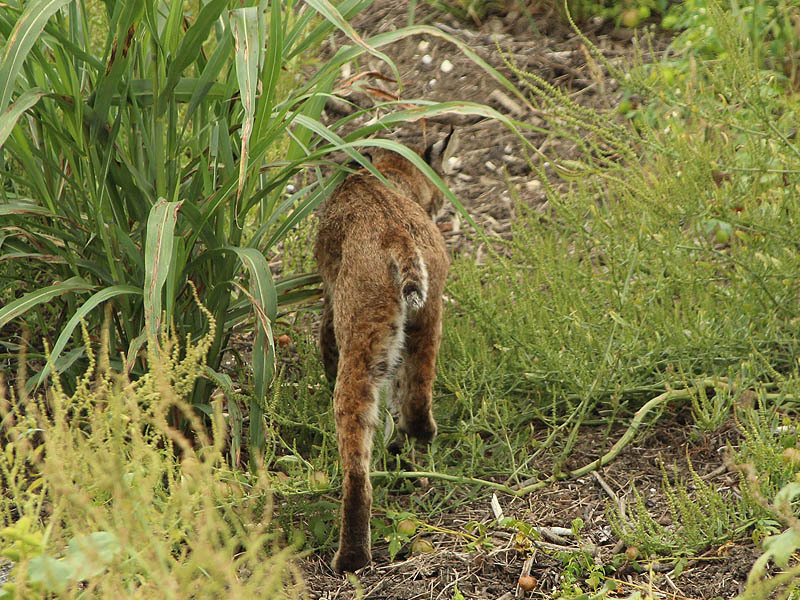 A close look at this Bobcat shows that he possesses a vividly spotted coat. 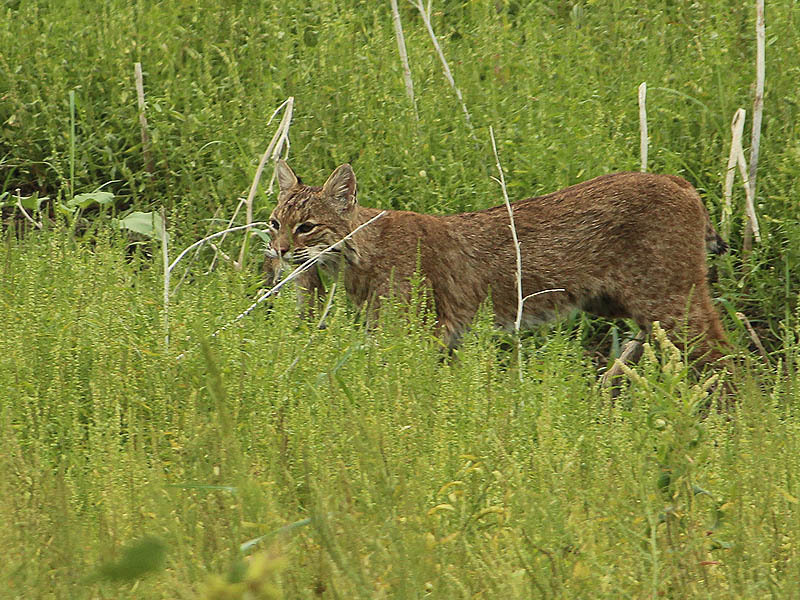 This effectively differentiates him from a second Bobcat I saw on this day, who had fur of a much more uniform color. 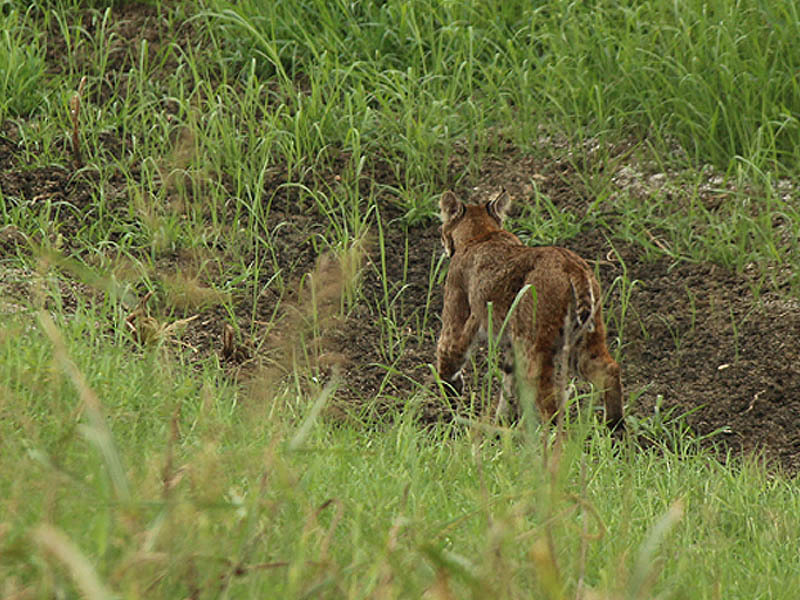 I came across the second Bobcat several hours later as she patrolled along one of the dirt roads that runs near the east side of the property. 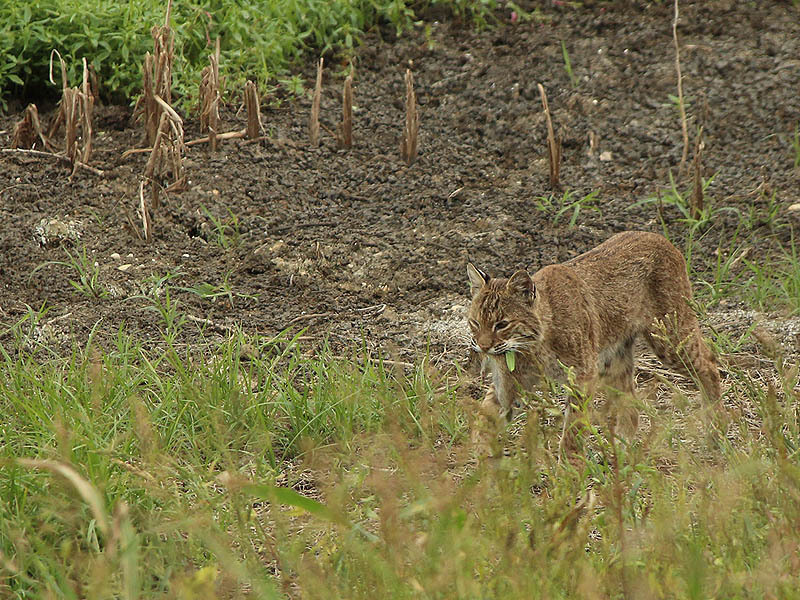 As I watched, this cat moved down into one of the drying beds and began hunting in the tall weeds along its perimeter. It wasn’t long before she came back out holding a large rat in her mouth. 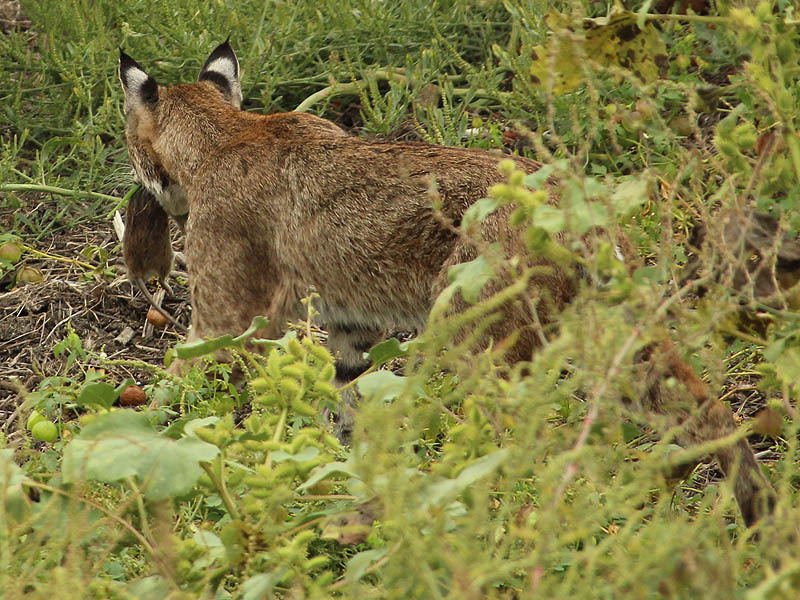 The Bobcat then carried the rat across two of the drying beds before stopping in a clearing. There, she set the rat down and then began calling out. 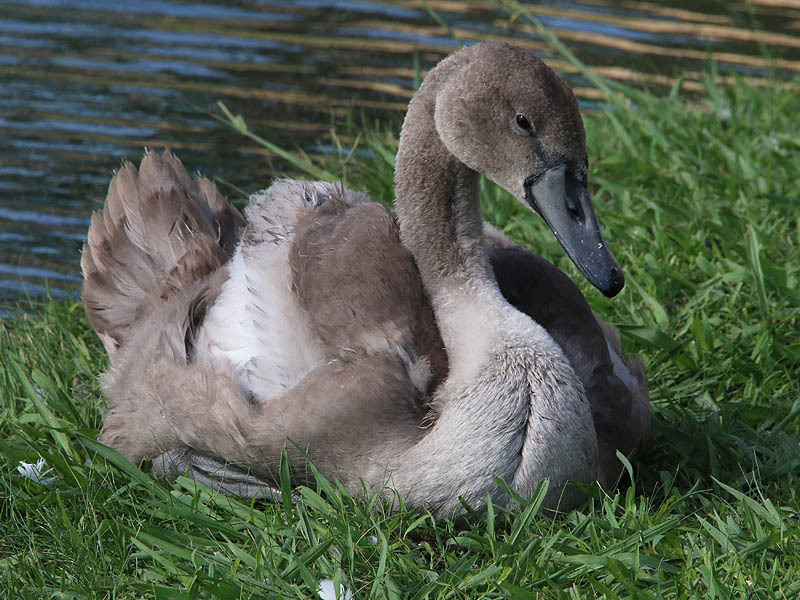 Sometimes she would walked over to this or that other nearby clearing and start mewing again. I interpreted this as her trying to call her cubs to dinner. You can see a snippet of this behavior in the video at the bottom of this post. 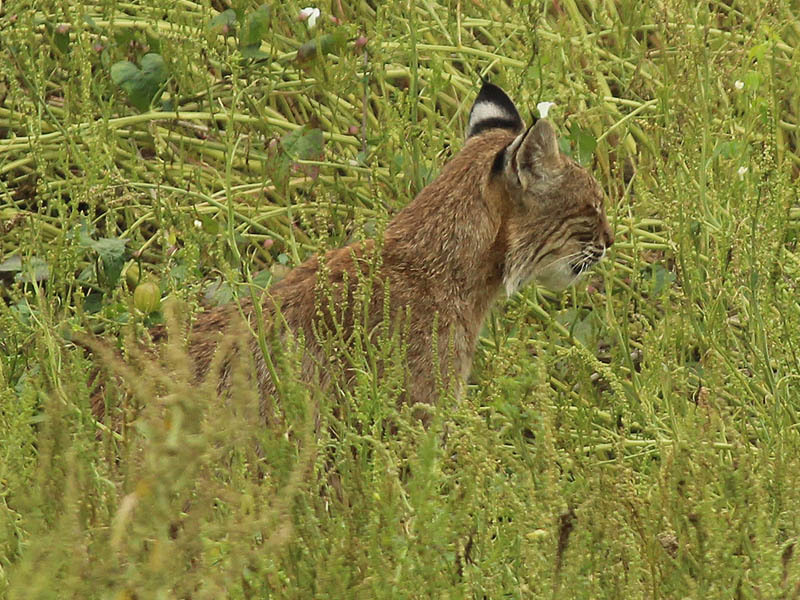 I watched for a little over a half hour, but unfortunately no other Bobcats appeared. 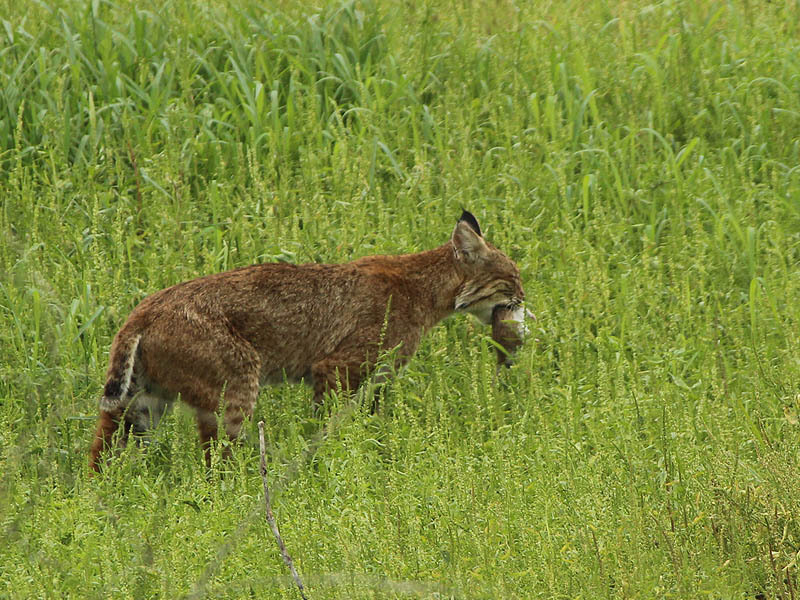 Eventually, the Bobcat picked up the rat and carried it off away from my position. 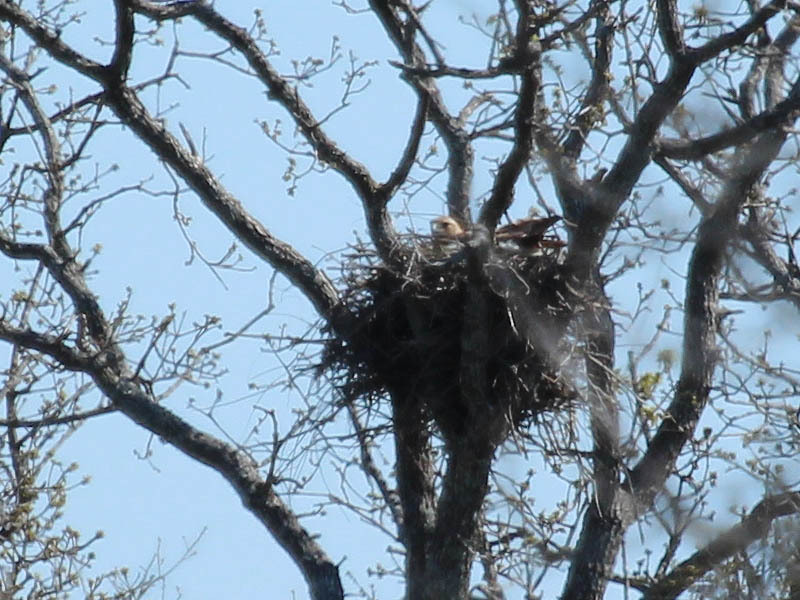 I could still hear her vocalizations as I walked away.